Ladies and Gentlemen, the brights are back!!! 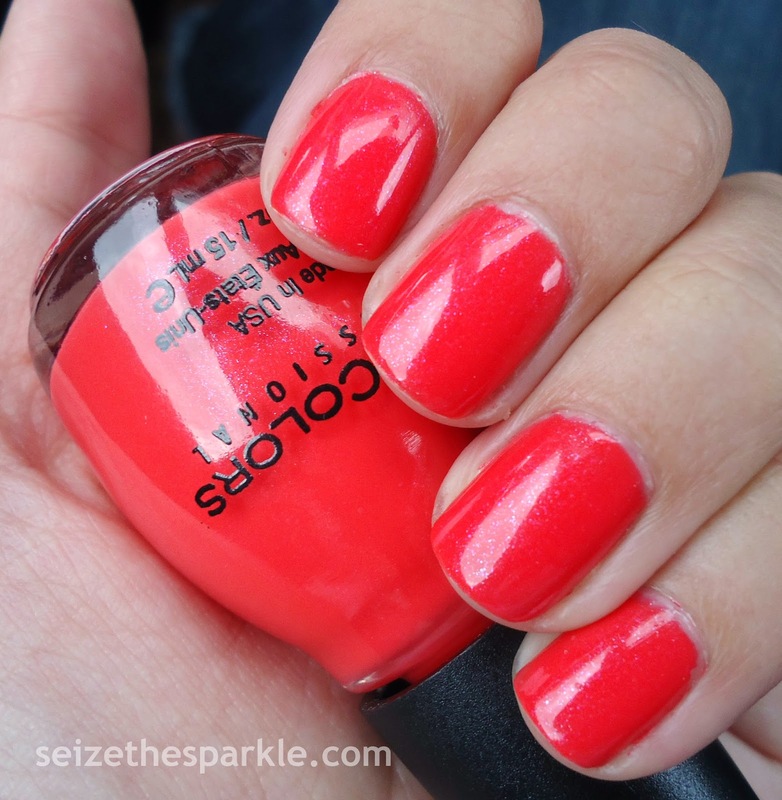 Coral Riff is part of SinfulColors Simmer Down Collection, and on the display, they're described as a "simmering sands collection." A fitting name, given the fact that it's a collection of warm-toned polishes! I'm always on the lookout for new and different corals, so Coral Riff caught my eye. It leans a little bit more towards the tomatoey red/orange side of coral. The color would be gorgeous on its own, but SinfulColors didn't stop there. They added a generous helping of superfine blue-violet shimmer, taking Coral Riff to a whole new level. Application was great... Coral Riff actually has a slightly jelly finish to it, and even with 3 coats, I can see a little bit of VNL in person, but I don't think it really translated in my photos. 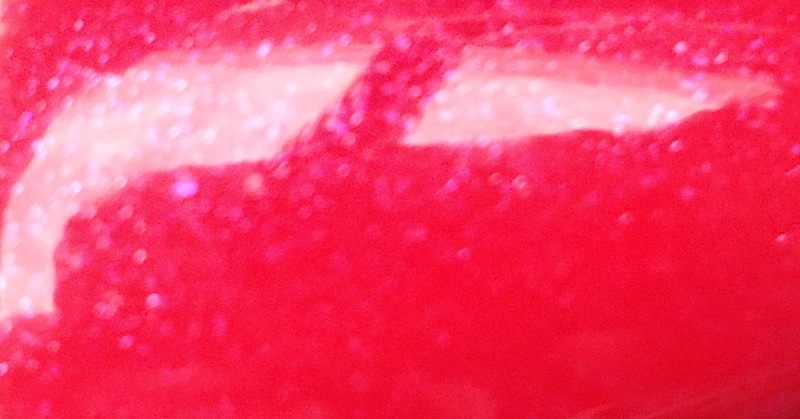 Between the jelly finish and hidden sparkle... Coral Riff was one big happy surprise! Have you picked up any of the new SinfulColors polishes yet? OMG! I have been on the hunt for this color! And I found it! This must be one popular color in the SF Bay Area 'cuz on my fourth try I found THE last bottle at Walgreen's :) It's a beautiful color! 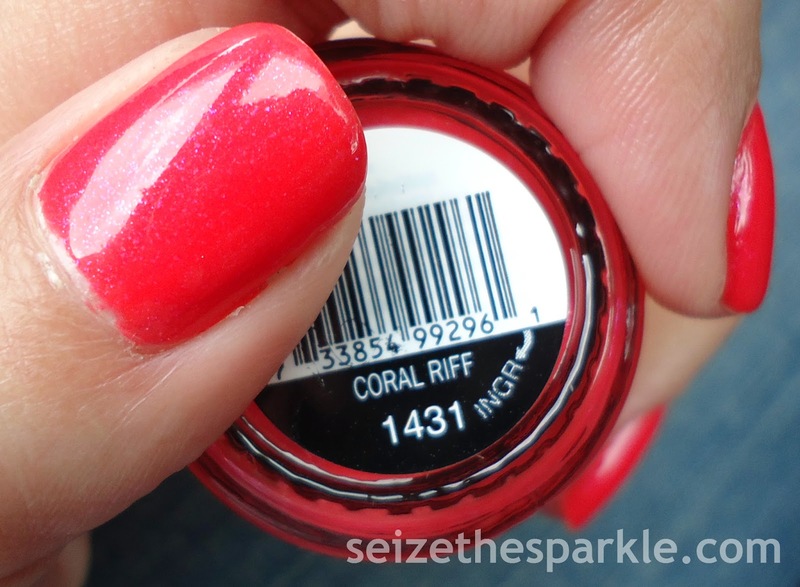 I have been obsessed with finding a coral with blue-violet shimmer! Yippee! The first time I tried coral was about five years ago. It was a nameless brand color I picked out at my nail place and believe it or not... Yes, it's true, I've been on the hunt for this very color since then. I lo and behold... I found it! Nice swatting, by the way. Thanks! It's such a great color... so glad you were able to find it!